Less than a week remains until the Federal Housing Administration (FHA) ends the comment period for its most recent round of proposed changes to the Home Equity Conversion Mortgage (HECM) program. As the comment period draws down, several reverse mortgage industry stakeholders are voicing their concerns over which proposed rules stand to adversely impact the future of the HECM marketplace. FHA made headlines earlier this year when it proposed a set of new rules for the HECM program. While the proposal aims to reinforce and codify recent HECM reforms that FHA has implemented over the years, it also includes several new rules that have industry members crying out for FHA to reconsider some of its proposed changes. The last day to submit comments on FHA’s proposed rule is Monday, July 18 at 11:59 PM (ET). To date, the proposal has generated 25 comments, according to those already posted on Regulations.gov as of this writing. Collectively, industry commenters call into question several major proposals outlined by FHA, notably FHA’s proposal to cap lifetime interest rate increases on all HECM adjustable-rate mortgages (ARMs) to 5%; as well as the proposal to reduce the cap on annual interest rate increases on HECM ARMs from 2% to 1%. 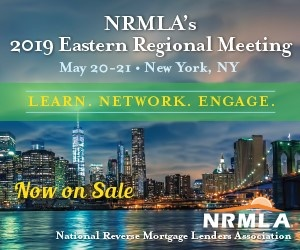 The suggested changes to the rate caps have the potential to create unintended consequences that could adversely affect senior borrowers, the FHA and the reverse mortgage marketplace, according to the comments of several industry stakeholders. “If the lifetime caps are lowered to 5% above the starting rate lenders will necessarily increase margins (as mentioned in the proposed rules), thus immediately increasing the cost to the consumer as the mortgagee seeks to recoup their operational costs,” Hicks writes. The reduction in annual cap from 2% to 1% is also “problematic” as this may reduce or eliminate the current secondary market for reverse mortgages and drive up the rates and costs for seniors, comments Glen Smart, senior loan officer and manager of the reverse mortgage division at Nova Home Loans in Tucson, Ariz.
“At the very least, don’t alter the structure on both the annual and lifecap without having an appreciation of the immediate impact on the markets; and therefore, seniors,” Smart states. Other commenters raised concerns over FHA’s proposals related to its rules on HECM eligibility for community association, such as condominium homeowner associations and housing cooperatives. Section 206.136(a)(1) requires the entire amount of a community association’s lien for unpaid assessments to be subordinate to the HECM mortgage if such a mortgage is to be considered acceptable to the Secretary, according to the Community Associations Institute (CAI), an international membership organization with more than 35,500 members. “This requirement will have a substantially negative impact on otherwise eligible senior citizens living in association lien priority jurisdictions,” writes Thomas M. Skiba, CEO of the Institute, in his submitted comment to FHA. In direct conflict with the statutes of 21 states and the District of Columbia, which provide a limited priority for community association liens, the CAI states that FHA proposes to exclude senior citizens living in these community associations from the agency’s HECM program. The CAI urges FHA to withdraw its proposed HECM rule and submit a revised proposal that does not endanger the financial security of community associations and the senior citizens who call these residences their homes. To electronically submit a comment to FHA’s proposed rule, click here.